The United Nations, in collaboration with Search For Common Ground, is organizing the first edition of the “we are all together” football tournament from 30 November to 02 December 2018 in Bamako. The aim of this activity is to raise awareness of the culture of peace and tolerance through sport. The announcement was made during a press briefing this Thursday in Bamako at the UNESCO office in the presence of Ms. Ute Kollies, Head of the United Nations Office for the Coordination of Humanitarian Affairs (OCHA) in Mali, her counterpart of UNESCO, Mr. Hervé Huot-Marchand and the representative of the Ministry of Sports, Diakaridia Diakité, Technical Advisor, who welcomed the idea. 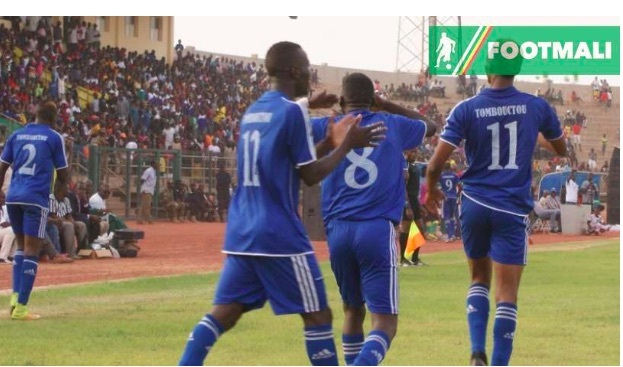 From Friday, December 30 to Sunday, December 2, from 5 pm, the Zone-K complex in Bamako will welcome teams from the North and Center of the country. Young people from Gao, Mopti, Tessalit and Timbuktu will compete for three days to win the first phase of the competition. These different meetings are an opportunity to highlight the values ​​of sport, such as the patient, tolerance, or perseverance. It is not a simple tournament, but it is a question of bringing together young people from different horizons, in order to sensitize them to the knowledge and the respect of the other person, as well as to social cohesion and dialogue. Thus, awareness and reflection sessions on peace will be given to young people, to allow them to return to their respective regions with action projects, which they can set up, in order to promote peace in their turn. and tolerance. Sport has always been an element of social cohesion, all sports competitions and in particular football allows for at least 90 seconds to bring together a whole nation behind its national team. For years, football has been considered the most popular sport in Mali, for all categories, “seniors, juniors and juniors”. It is a unifying element between communities and young people. In this perspective, the United Nations system through this tournament makes football a central element in promoting peace. It should be noted that for the United Nations as a whole, sport has a significant role in promoting the ideals of peace during the post-conflict period. The young footballers already on site in Bamako welcomed the initiative to its true value and wished that other editions could be played in the north as well as in the center. For them, it is already a victory to be together with brothers here in Bamako for the unification of communities and especially between their younth. The main partners of this activity are, with UNESCO: the Ministry of Sports, the Office for the Coordination of Humanitarian Affairs (OCHA), the United Nations Development Program (UNDP), the United Nations Multidimensional Integrated Stabilization in Mali (MINUSMA), Mikado FM Peace Radio in Mali, and Search For Common Ground.